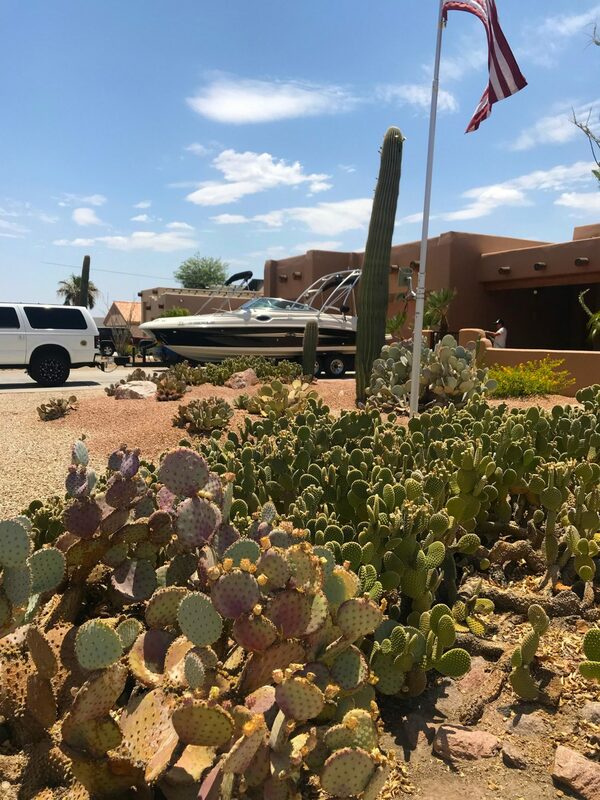 This 4th of July holiday Rossana and I traveled to Lake Havasu, Arizona. 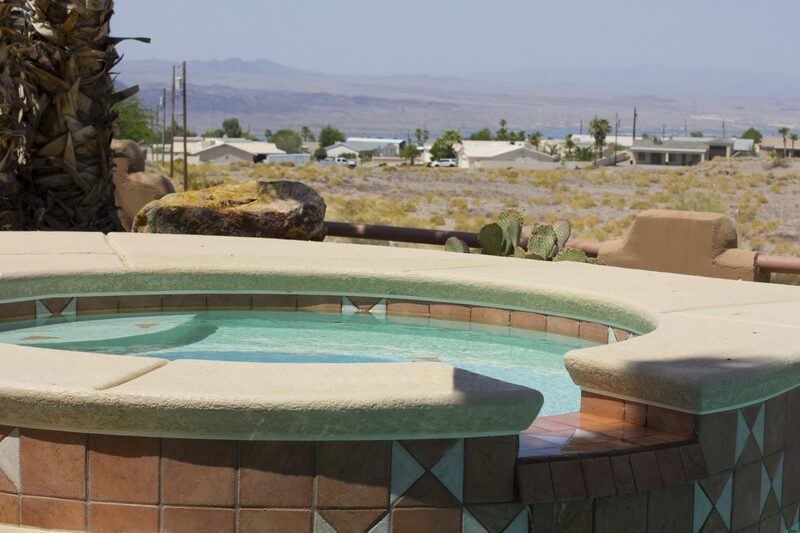 We drove from Los Angeles to Lake Havasu City, where we had rented a house for the next 5 days. As we left, the weather in LA was a nice 72 degrees Fahrenheit. Little did we know LA would get a heatwave upon our return, but more of that later. As we traveled up the 215 to the 5, the scenic view would start to turn in to a dry, semi-desert landscape. Once we got nearer to Lake Havasu and went down the valley, the outside temperature display in our car went from 90 to 115 degrees. Yeah, it was hot, it was dry, and we had arrived. We refueled and bought some final supplies before reaching the rental house. After unloading and having a some refreshments, we put on our swimwear and headed to the lake. The lake was full of boaters, what with the heatwave in Arizona and the holiday, it was the right thing to do. 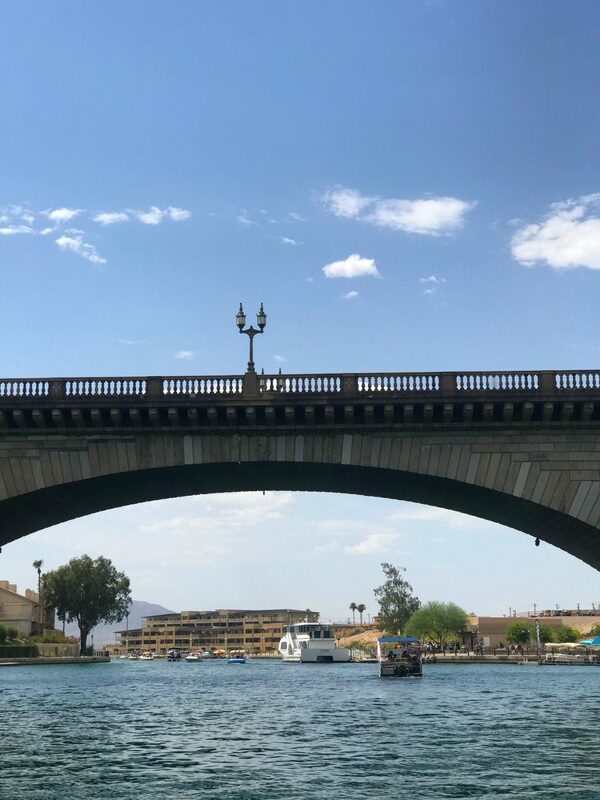 As we went over the London Bridge (named that because it was the London Bridge that was donated, dismantled and reassembled back here over Lake Havasu), we felt a nice cooling breeze while under the shade. Once around the bend on the top right, we encountered one of the most amazing sights during our trip. A family of ducks leisurely wadding from one side to another in search of food and companionship. Hey, we had to take a dip, just like the fowl, to cool off. The water temperature was a balmy 90 degrees. 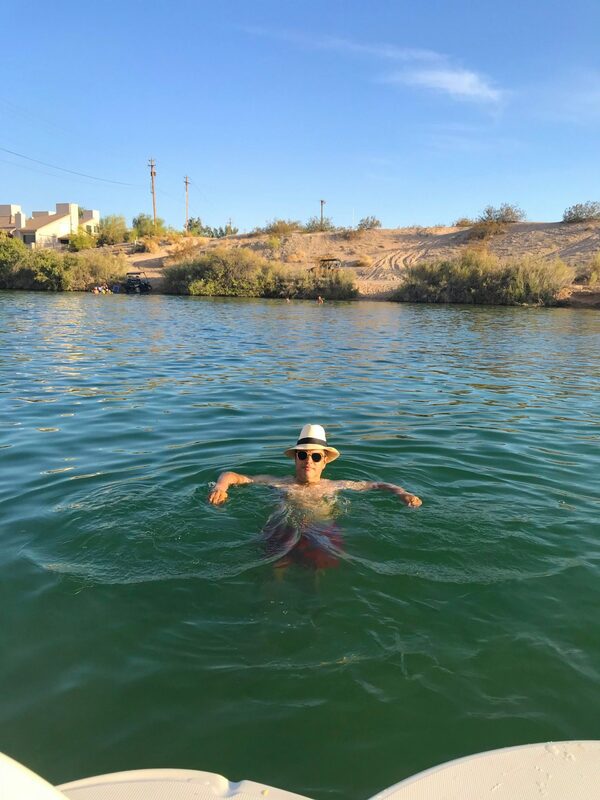 Even in the water, we still felt the heat from the sun, and the warm almost bake-like wind that crossed the desert into the lake. Here I am with my favorite Panama hat (really Panama is a misnomer, they are originally and have always been made in Ecuador), and my L.G.R. flap sunglasses. Once back at the house, we have a light meal, take showers, and change into some more outfits for the pool. Where we will be until early the next morning. 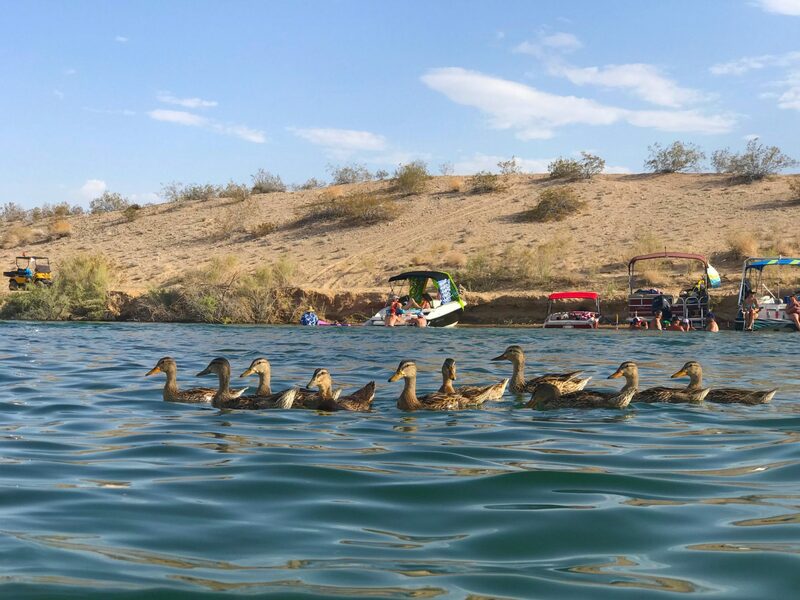 We did this every day during our stay in Lake Havasu. Like they say, rinse and repeat. My trucker tan is getting a bit darker. Yeah, it’s been a while since I’ve tanned. Although, we travel a lot, we don’t get to spend a lot of time sunning ourselves. But, traveling is what matters. This week, I’ll get a year’s worth of sunning. Ahh, drinks on the swimside bar, floating and just catching from rays. 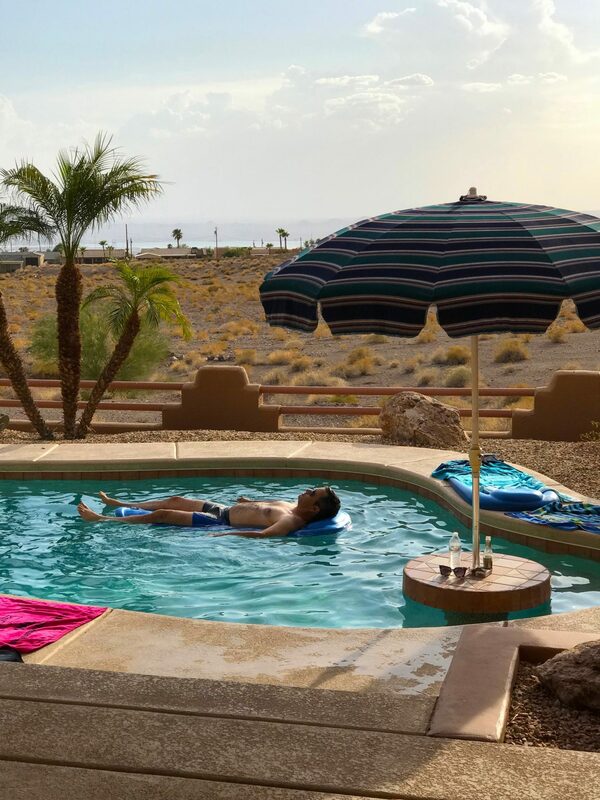 This is my second to last day in Lake Havasu, and like a ritual spend the last hours in the pool. Here I’m wearing shorter swim trunks to get my legs as dark as possible. And as for sunnies, Ray Bans are my go-to shades. Rossana and I wearing matching Trina Turk and Mr. Turk swimwear outfits. And a quick splash to say so-long Lake Havasu. Rossana and I hope to come back again soon. And to you, have a great 4th of July holiday, stay hydrated, be safe and wear it with style. Yes. London Bridge is a bridge in Lake Havasu City, Arizona. It was built in the 1830s and formerly spanned the River Thames in London, England. It was dismantled in 1967 and relocated to Arizona.